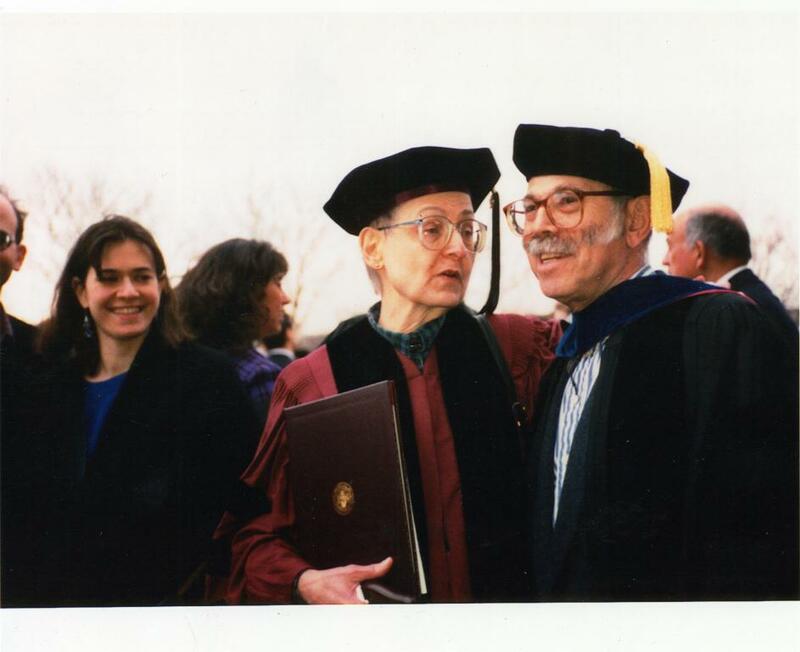 My parents, Rella and Barney Cohn, in the 1990s. Their wisecracks live on. Ten years ago my father couldn’t tell a red light from a green one. We noticed when he asked the same question twice. How’s the weather up there? A minute later, How’s the weather? How’s the weather? Every visit, he was more shrunken, more confused. Stutter, silence, fall. The first time he disappeared in the Field Museum men’s room, for twenty minutes I fretted among plastic dinosaurs, at last asked a complete stranger to retrieve him, zipped, buttoned. Later on, we sought what remained—memories of a former colleague, Hail, hail the gang’s all here, his great strength of will, bald old snapping turtle gathering his endurance, waiting. Like the time my mother went on for twenty minutes about the origins of the name Zanvel. Natter, chat, a steady rain of knowledge. My father sat silent, dull, but suddenly leaned forward, grinned, showed yellow teeth, said, I‘m worried about your mother’s memory. My mothers birthday is today. She would have been 79. She also had memory problems but it is still too close to her passing away to want to recall them. Thanks for sharing yours.